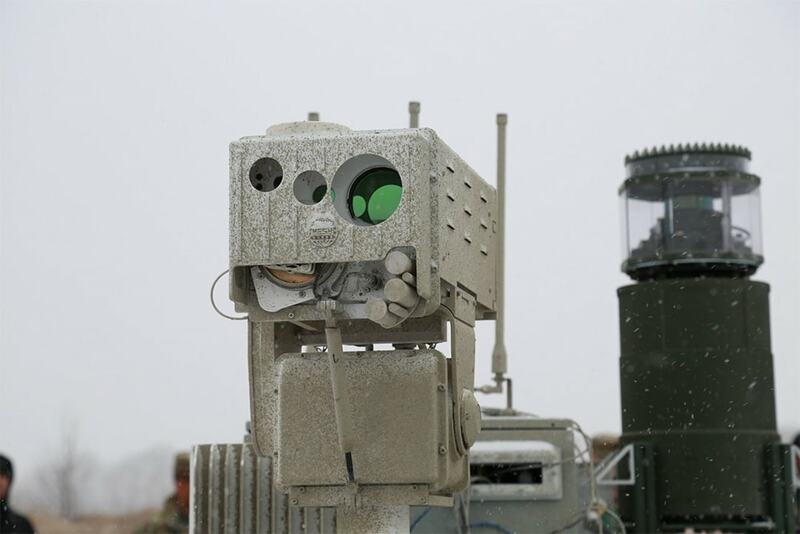 NBC sniffer with updated sensors and a UGV. 1. The Deep Purple Unmanned Aerial Vehicle equipped with the Array Configurable of Remote Network Sensors flies sensors into a chemical cloud for interrogation. 2. A Joint Chemical Agent Detector automatically detects, identifies and alarms to chemical warfare agents and toxic industrial chemical vapors. 3. A standoff detector called the improved Mobile Chemical Agent Detector detects, identifies and maps chemical weapon vapors. 4. The Vehicle Integrated Platform Enhanced Radiation Detection, Indication, and Computation is the NBCRV's internal point sensor and is specifically tailored for mounted operations in radiological-nuclear environments. 5. 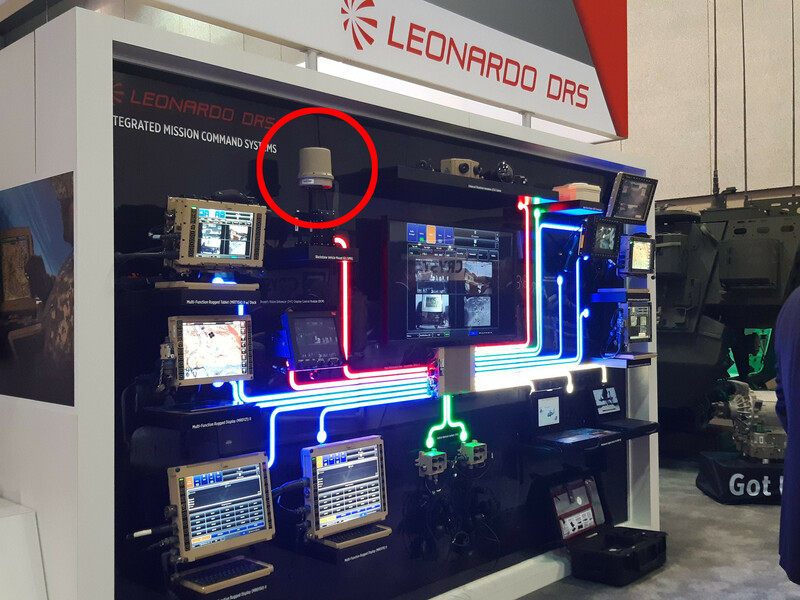 The Mounted Enhanced RADIAC Long-Range Imaging Networkable (MERLIN) system, which is comprised of two subsystems that are complementary but work independently of each other, MERLIN-Imager (MERLIN-I) and the MERLIN-Applique (MERLIN-A). MERLIN-I enables stationary standoff radioisotope detection and MERLIN-A consists of four sensors mounted on the corners of the NBCRV, enabling moving standoff detection. 6. The Chemical Sensor Detector analyzes ground liquids using a laser and spectrometer and is deployable on-the-move. Honestly kind of happy they are going back to NATO tricolor on M1A2C. Also this might be wrong because the turret is asymetrical and Damian isn't comparing the same side. Yeah I think the armor cavities did get enlarged on the M1A2C. Yep. Look at the relative distance from the grenade box to the front of that armour plate. Definitely longer, like IP M1 to M1 turret. I'm usually skeptical due to angles of capture and possible turret (which also happens to be assymetrical, as it is thicker on the right side to accommodate the commander and gunner stations) traverse angle, but the mount for the foremost ARAT-2 ERA is indeed farther from the turret cheek's corner on the A2C than it is on the A2B. While it is not bode well for the Abrams' weight, it is nice to see its protection is still updated beyond merely swapping the contents of the armor cavities. As for the hull geometry, can't tell on my little screen. Is M1A2B official nomenclature? I’ve only seen reference to M1A2C (SEP v.3) and M1A2D (v.4) in US Army literature. ^-- Except Ramlaen posted pictures attesting to this turret extension (distance from turret edge to ARAT-2 mount and the fact that the turret cheeks now nearly completely cover the gun mantlet's sides). No need for a tinfoil hat here. No doubt, he is right. I just pointed out that Damian can be quite an oddball sometimes. The intention was to completely eliminate the "SEP" thing, and simplify it to single letters. While there was no confirmation, it is safe to assume there are an M1A2A and B. Regarding the Oshkosh M-ATV/TAK-4 suspension: I’m looking for dimensions on the track (distance between the center line of each of the two wheels on the same axle). I’ve got 2,100 mm in my notes but would like to verify that. I would normally support the installation of systems like Elbit's IronVision or BAE's BattleView on any AFV above 20 tons, but how are Elbit going to fit both the IronVision AND Iron Fist (yeah I get it now, everything Iron) at the same time? Isn't it the box on top of the gunners sight? The other optic isn't necessary with the commanders independant sight. Yes, it is that box. But it's not going to be on that stand. They could put it in some neat way above the gunner's sight, in which case it might be okay. The Army is expecting to open up a competition for its Next-Generation Combat Vehicle by issuing a request for proposals by the end of the week, Brig. Gen. Ross Coffman, who is in charge of NGCV modernization, told Defense News in an interview ahead of the Association of the U.S. Army’s Global Force Symposium in Huntsville, Alabama. The NGCV Cross-Functional Team, which serves under the Army Futures Command, to develop a fleet of modern combat vehicles — both manned and unmanned — put together requirements in less than a year that it will need to start a competitive process to procure an Optionally Manned Fighting Vehicle (OMFV) in 2026 to replace its Bradley Fighting Vehicle. 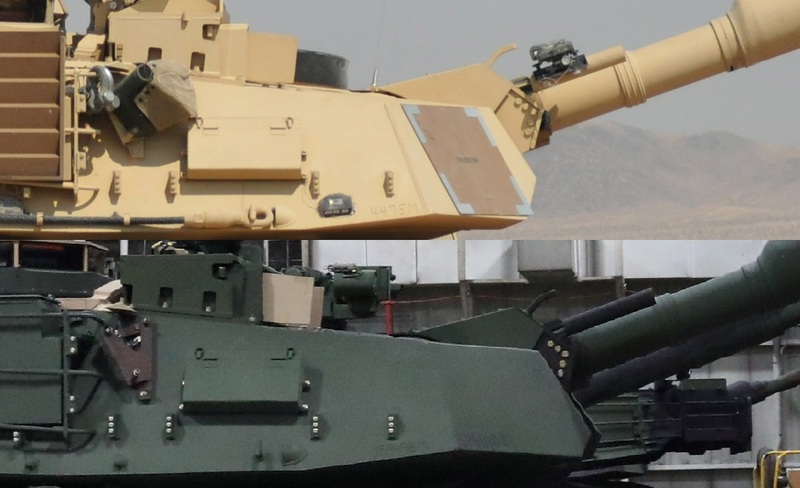 Replacing the Bradley is the NGCV CFT’s number one priority, Coffman said in an interview with Defense News last fall. The OMFV is meant to “provide options to commanders in combat, so it’s a decision to, manned or unmanned, gain contact with the enemy, and that can be visual or through firepower, and it actually provides options to commanders so that they can use the best way to accomplish their mission,” he said at the time. After working with industry through countless engagements and testing out several draft RFPs with ambitious requirements, Coffman said he believes the Army has both the threshold requirements for the vehicle as well as the objective requirements right as the service heads toward the release of the final RFP. The draft RFP was meant to stretch goals and objectives and to inspire feedback in order to write requirements that are obtainable, Coffman explained. 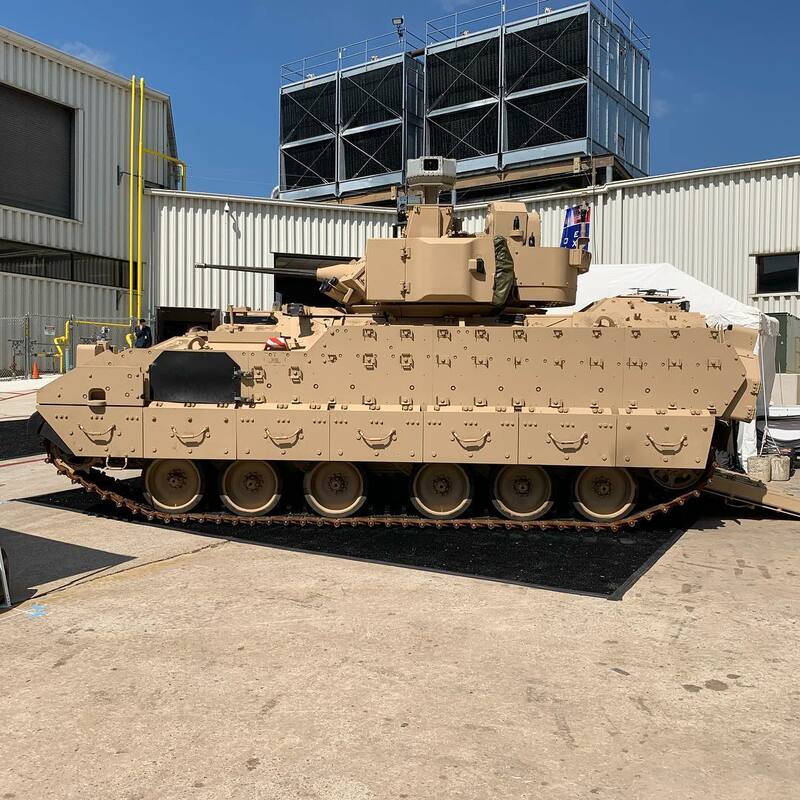 Teasing out some of the requirements, Coffman said the Army’s threshold requirement is to procure a vehicle with a 30mm gun with an objective requirement of 50mm. “We want the 50mm,” Coffman said, and industry can provide a gun that size, but since the service is moving so fast on the program, it was more realistic to shoot for a 30mm and ask industry to show a path to 50mm when responding with proposals. 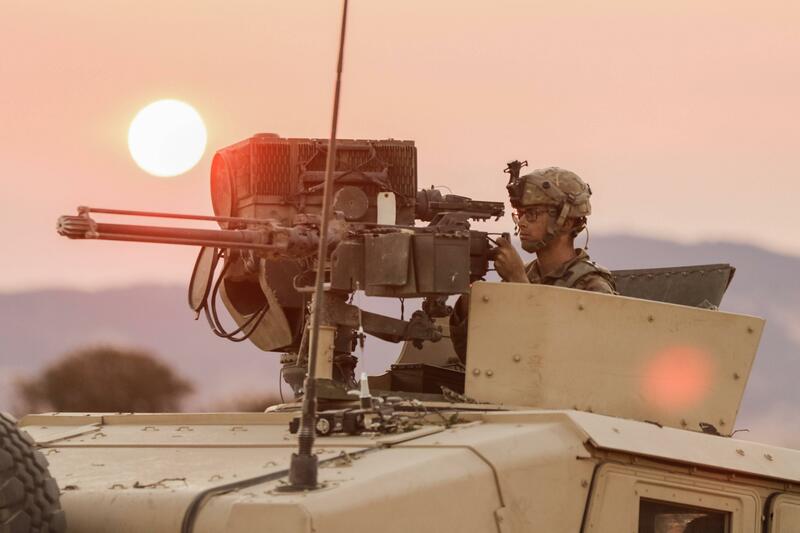 The Army absolutely has to have Forward-Looking Infrared (FLIR) capability that is “as good or better than what we have,” Coffman added, with an objective requirement to have whatever the next-generation of night-sight capabilities are. “We want to see the enemy before they see us and we want to be able to engage the enemy beforeo they engage us,” he said. This means the service is asking for a 2nd generation FLIR, but would like a 3rd generation FLIR as an objective requirement. Proposals will be due this fall and the service plans to downselect to two competitors who will build 14 prototypes. The Army will likely take about 14 months to decide on which offerings will move forward into the prototyping phase. Coffman added that the Bradley has served the force well, “but it’s limited, so what I’m confident in is the vehicle that we are going to give our soldiers will be better than the Bradley and better than the enemy vehicles that we will engage and we will continue to push the envelope on new technologies. 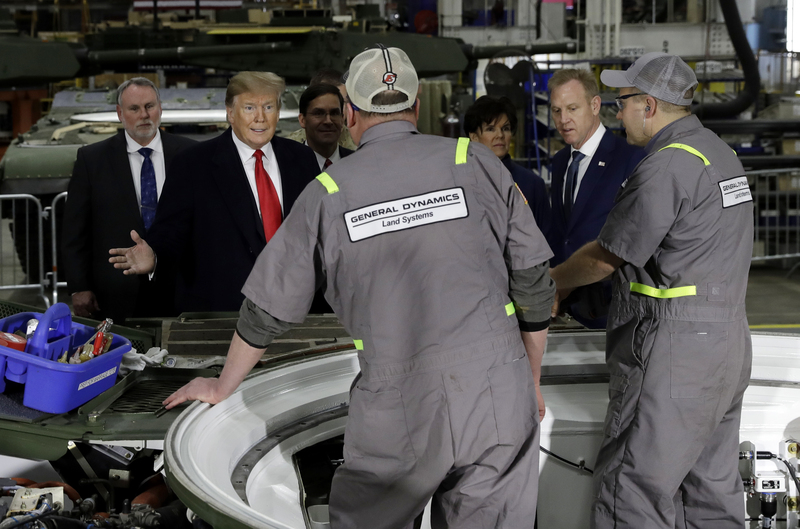 “But if we wait for all of those new technologies to reach a level of maturation that can be integrated into a vehicle we will never get started,” he said. 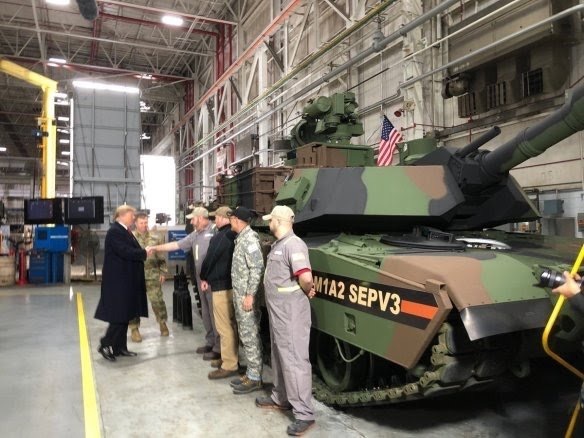 The Army plans to release a request for proposals for the optionally manned fighting vehicle March 29, a senior service official said March 27. For instance, the service wants to avoid putting too many features on the vehicle that may increase its weight and compromise its transportability, he said. The Army wants to be able to fit two vehicles in one C-17, he said. 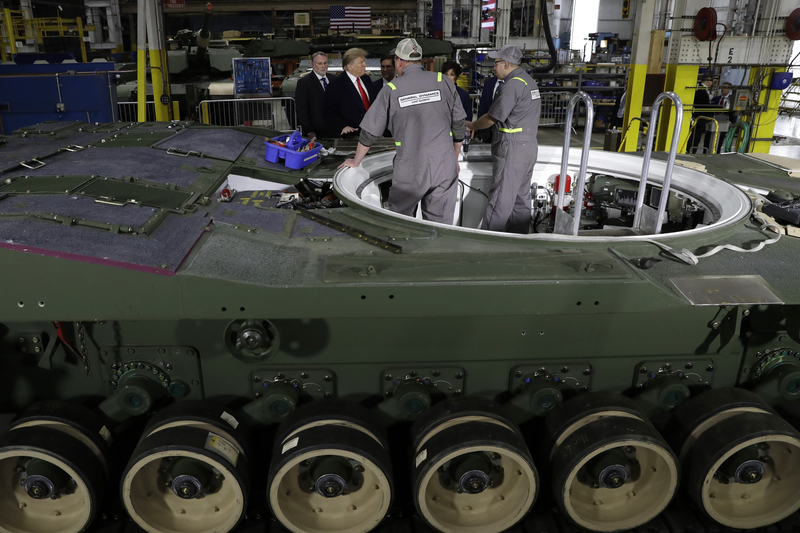 “We've had to really sharpen the point of those three areas to ensure that it meets the weight — that we can move these vehicles wherever in the world we need them with the appropriate assets,” he said. However, the vehicle is expected to have additive armor kits available to provide additional protection, he noted. Many in the defense industry were clearly anxious this latest attempt to replace the Bradley might go the way of its two predecessors and be canceled. A complaint that the OMFV requirements were unachievable was the first thing I heard on arrival in Huntsville for the conference — before I even left the airport — and the concern came up as a question for the first Army speaker, Futures Command chief Gen. John “Mike” Murray, who deferred to Coffman. The problem was two-fold, Coffman said. One issue was sheer weight. The draft requirement called for so much protection on the baseline vehicle (as opposed to the bolt-on b-kit) that the OMFV came in too heavy for the C-17. 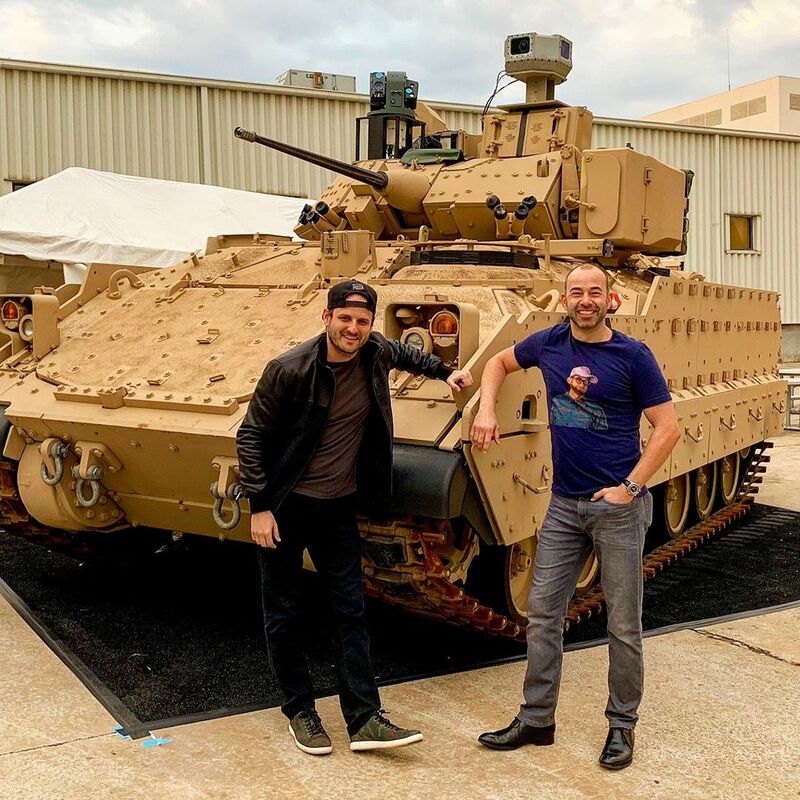 The other issue was height, since ground clearance — the distance between the ground and the bottom of the hull — is the first line of defense against roadside bombs and land mines: The OMFV would’ve been too tall. In this wider understanding of survivability, the best way to protect the troops is to take them out of the vehicle altogether. That’s a big part of why the Bradley replacement will be the Optionally Manned Fighting Vehicle. 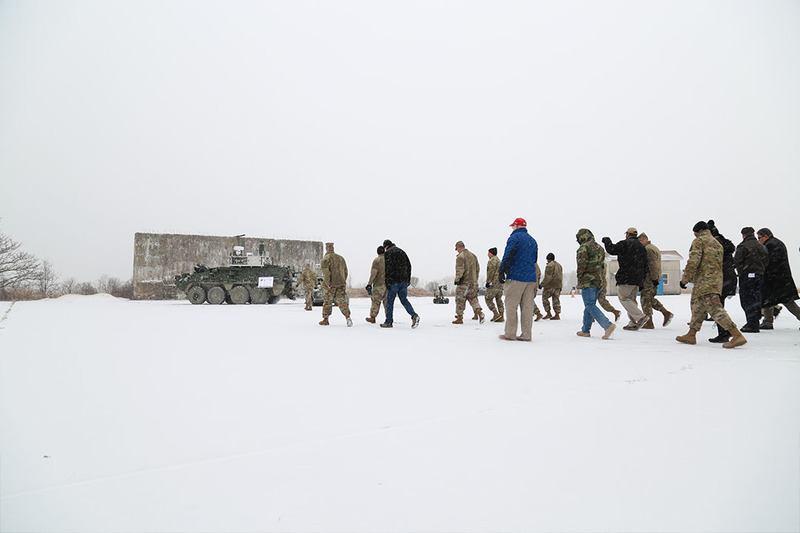 Coffman’s NGCV team is also working on completely unmanned Robotic Combat Vehicles, with the first platoon-sized experiment — four robots and two manned command vehicles — scheduled for next year. These aren’t sci-fi killer robots, however. At least initially, “unmanned” will mean “remotely controlled,” with two human operators — a driver and a gunner/sensor operator — teleoperating each unmanned machine. 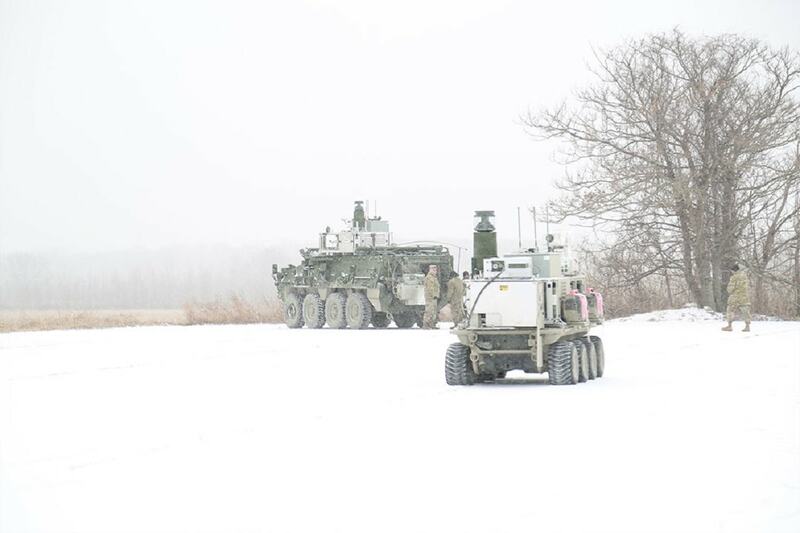 Over time, however, the Army expects to upgrade as technology improves, first getting down to one human remote-controlling one unmanned vehicle, then having one human supervise multiple robots. But the Army never wants to take the human out of the loop, so keeping communications open between man and machine is critical. Current encrypted radio technology can communicate over about 20 kilometers (12.5 miles), Coffman said. 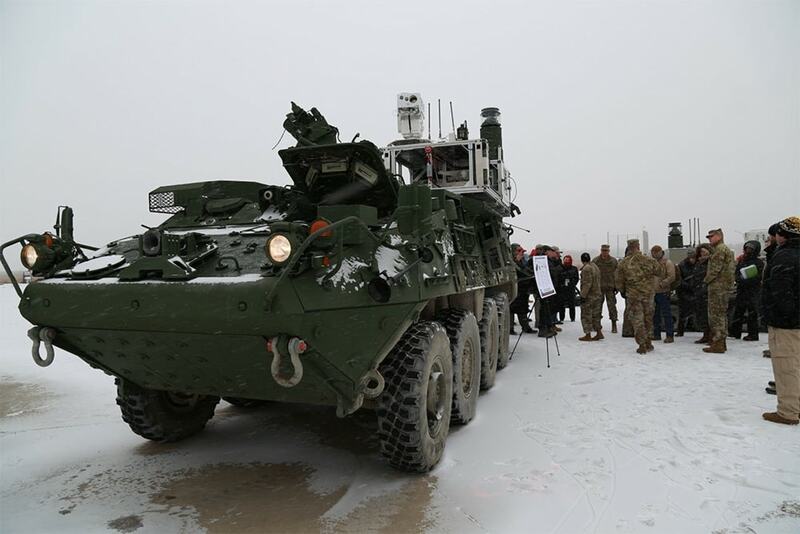 It doesn’t yet have the massive bandwidth required to relay video of an unmanned vehicle’s surroundings, but he’s confident he and Army Futures Command‘s other Cross Functional Teams — the network, long-range firepower, et al. — can overcome that limitation. Lynx will probably be selected now that it isn't hampered by its size. - did the US Army take a clear decision about the armoured platoon organization it wants ? Does it wants a classical « 1 section per AFV » system or can it accept to go for a 2 AFV to carry a section ? 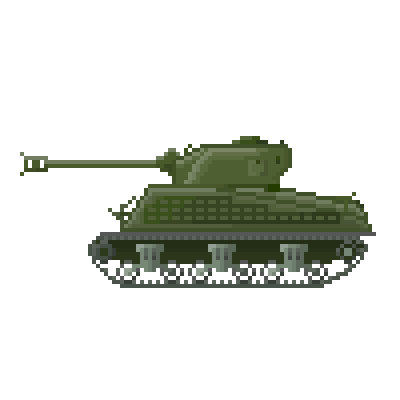 - what is the interest in having an optionally maned IFV ? I can understand the need for an UGV, but what kind of task can one give to a vehicle without its crew ? Today, when considering the autonomous car, the industry knows it’s impossible to reach the level 5. It’s far too complexe. So, because land combat situations are the most complexe situation, the idea of having an optionally maned plateforme sounds strange. @Ramlaen: did you notice this? IMHO, it's a bit small to be the mystery cylinder on the M1A2C, but it's the right shape. 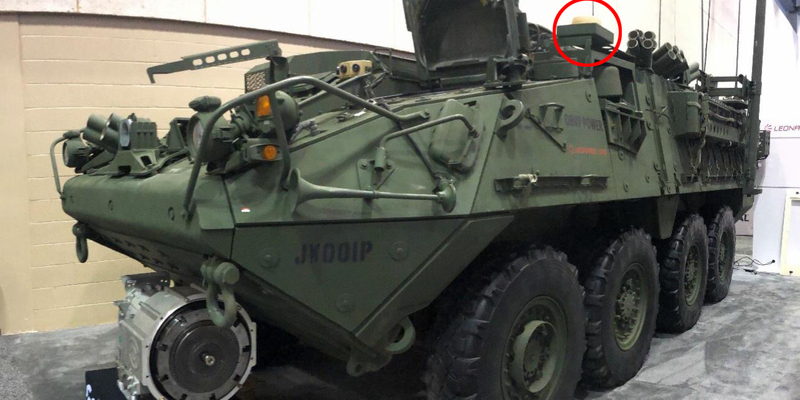 A zoom on that part of the exhibit reveals it to be the Blackstone Vehicle Mount Kit (VMK).